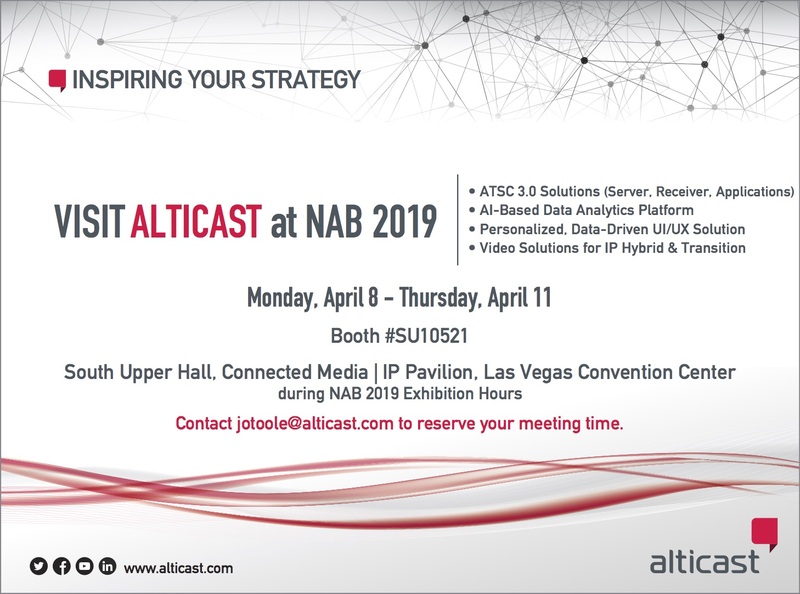 Alticast develops end-to-end media technology solutions that enable service providers to quickly and reliably deliver innovative TV experiences to customers. 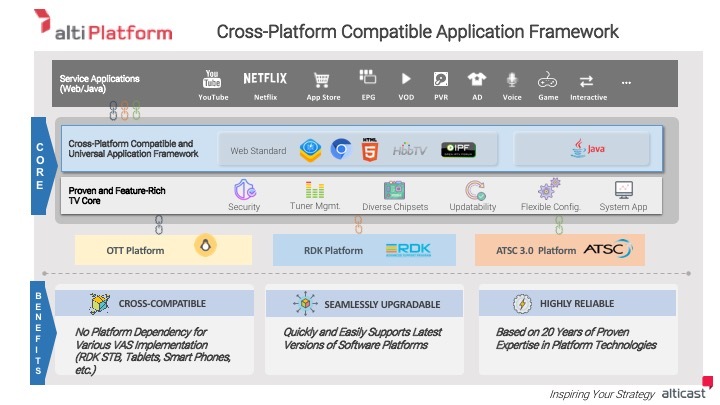 Alticast's cloud-based OTT platform, STB software, CAS/DRM, UI/UX, AI and Big Data-based analytics securely bring compelling, personalized and interactive content to over 50 million devices worldwide via broadcast, broadband and mobile platforms. The publicly traded company is headquartered in Seoul, South Korea with major offices in Amsterdam, Netherlands; Broomfield, Colorado; and Hanoi, Vietnam. For more information, or to read Alticast’s blog, visit www.alticast.com. 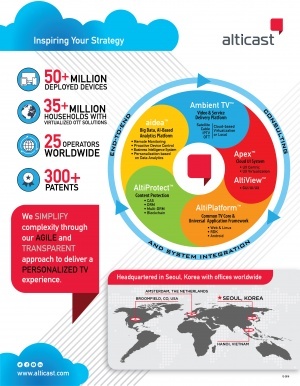 Pay TV and video industry veteran joins the Alticast Americas' team.